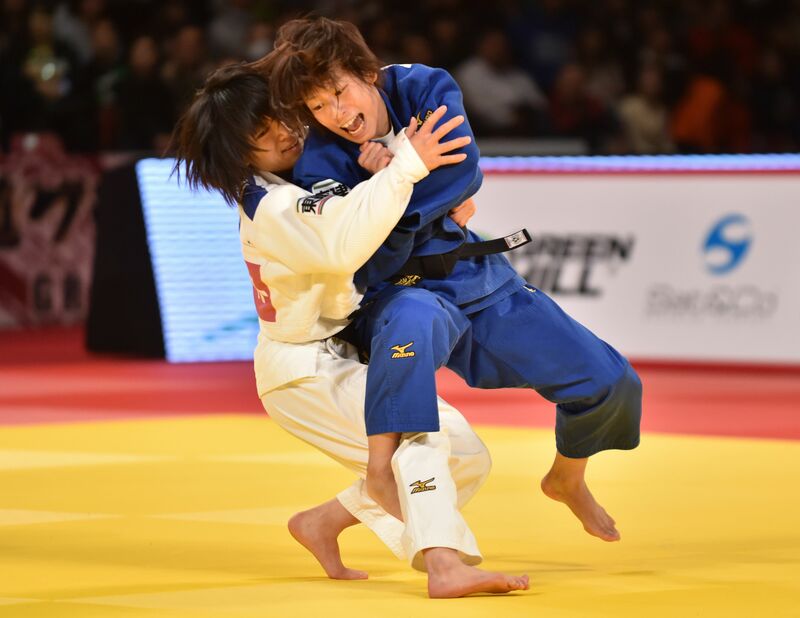 London Olympic judo gold medalist and world champion Kaori Matsumoto was knocked out in the second round of the Grand Slam Tokyo on Friday in the women’s 57-kg category. Matsumoto defeated Indonesia’s Ni Kadek Anny Pandini by ippon in the first round, but suffered an ippon defeat to former world champion Rafaela Silva from Brazil on the first day of the tournament, one of the qualifying competitions for the Olympics next summer in Rio de Janeiro. Twenty-year-old Tsukasa Yoshida won the division for the first time, downing French Helene Receveaux with an ippon in the final. Nae Udaka, who won last year’s worlds, was also knocked out in the second round by Hedvig Karakas from Hungary on shido penalties. “I feel full of frustration,” said Matsumoto, who came into the competition on the back of a gold medal at the world championship in August, her first in five years having struggled with injuries since winning the 2012 London Games. Misato Nakamura defeated Ai Shishime on shido points in the 52-kg final for her first title in six years and second overall, while Ami Kondo captured her third straight 48-kg title with a combined ippon win over Haruna Asami. Among the men, Naohisa Takato took the 60-kg title with an ippon victory over Russian Beslan Mudranov for his third championship. In the 66-kg division, Tomofumi Takajo beat Masashi Ebinuma after claiming one wazaari and two yuko points in the final en route to his third title.